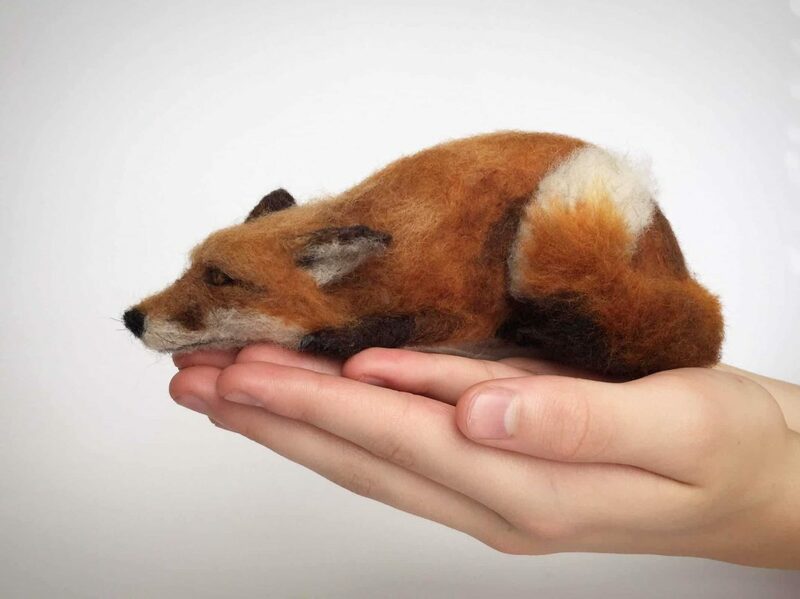 Mikaela Bartlett has a skill with needle felt. 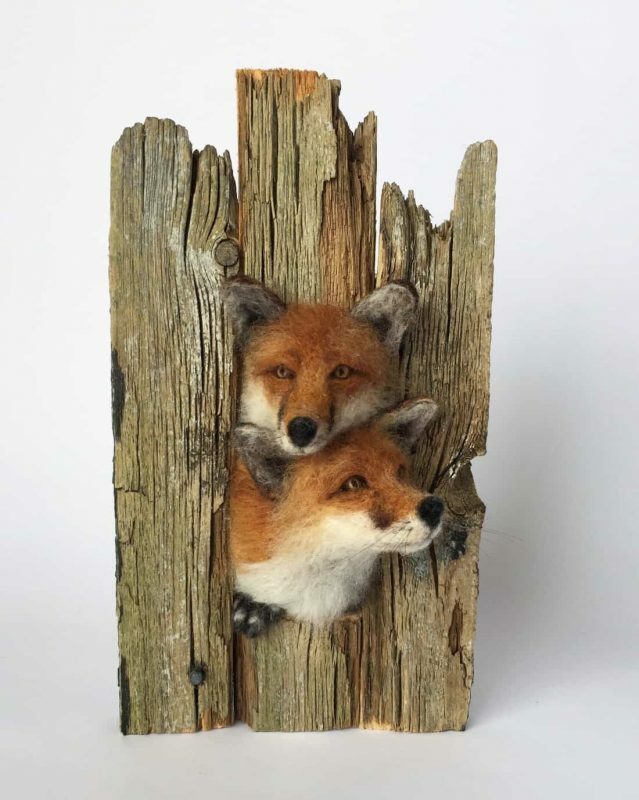 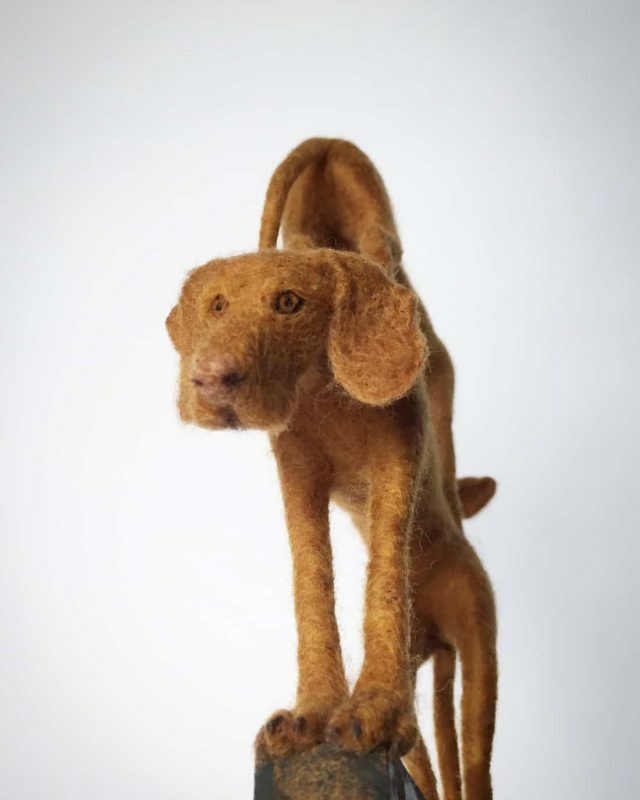 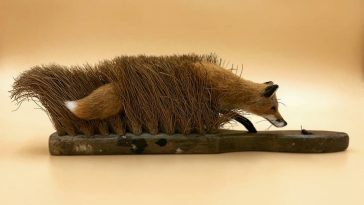 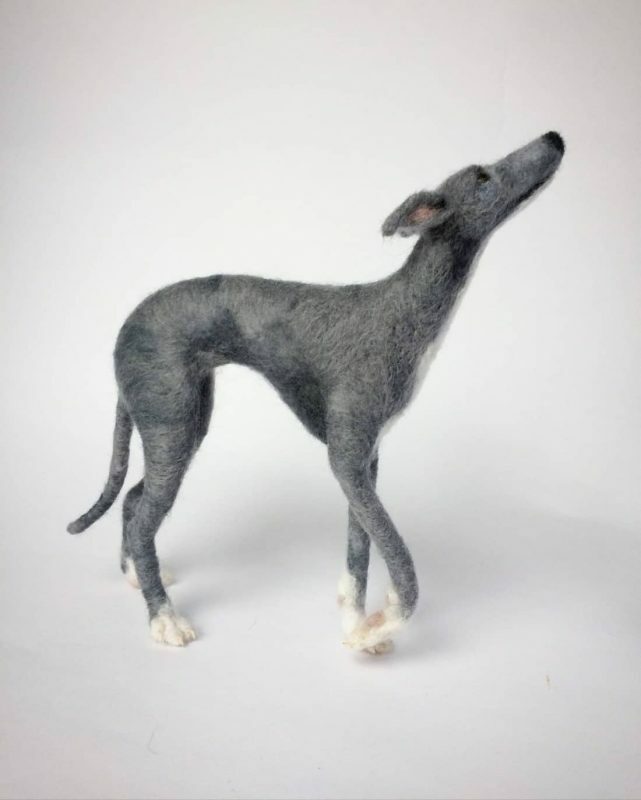 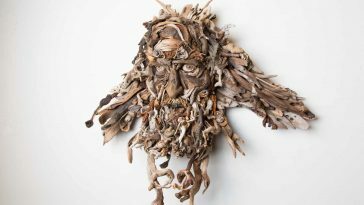 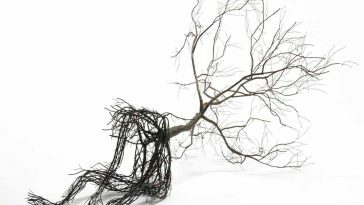 Creating lifelike animals, largely foxes and dogs, the Yorkshire artist sculpts the creatures out of natural/dyed sheep and alpaca wool, forcing their shapes around a wire armature of the creature. 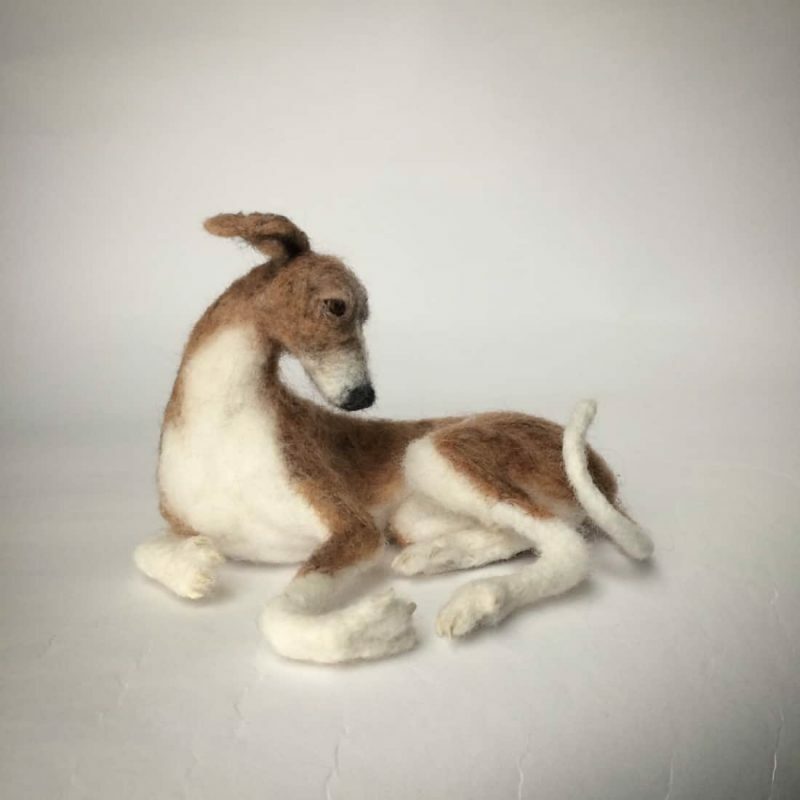 The quality is indeed amazing, and her resulting sculptures could almost be mistaken for taxidermy quality. 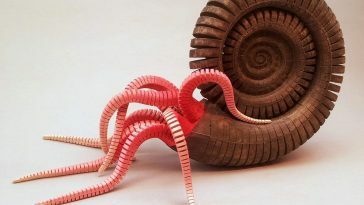 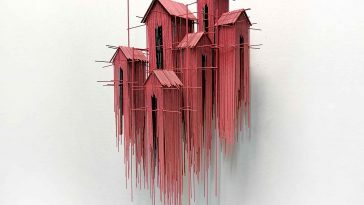 Fitting into the palm of a hand, each sculpture is eight inches long or four inches broad, making a fascinating addition to your house. 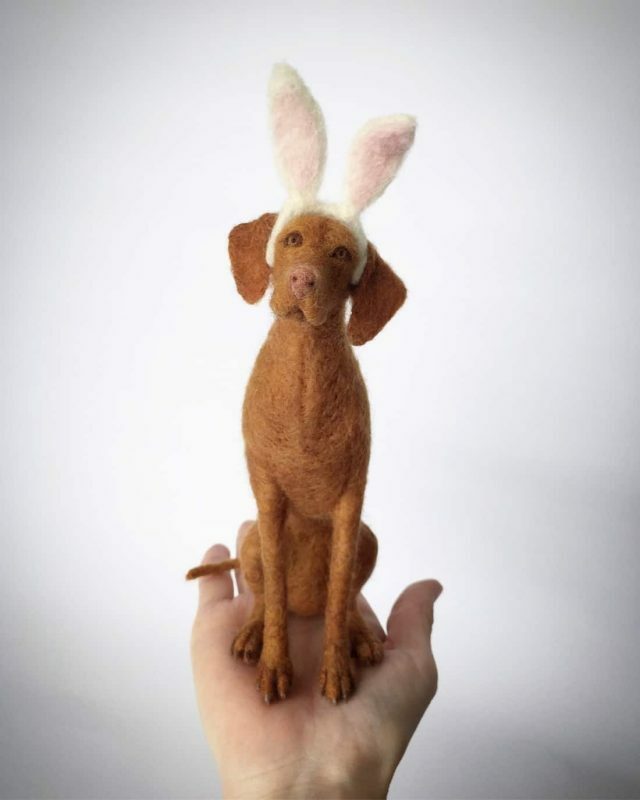 Via her Etsy shop, you can send her photos of your very own beloved pets, and she’ll make a sculptured mini version of these, down to the very last detail. 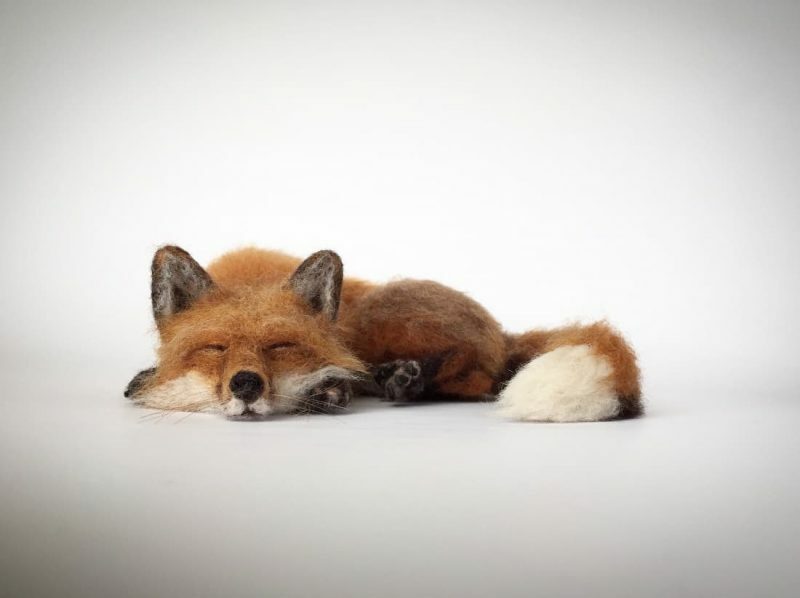 However, you’ll have to be patient. 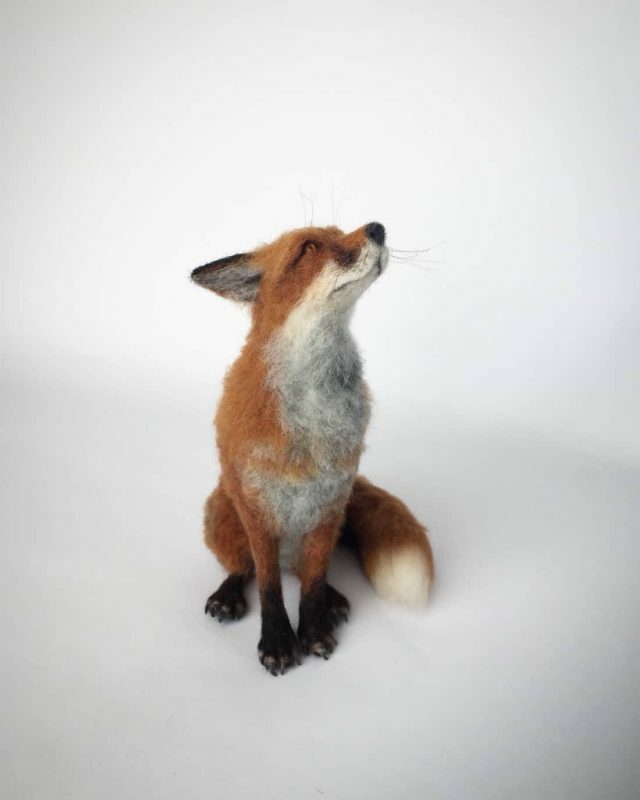 Her waiting list is so long, and she is booked for two years ahead.